The entry list for round seven of the FIA World Rallycross Championship at Trois-Rivieres in Canada has been released by the FIA, where all 15 of the permanent World RX drivers will embark on the first ‘flyaway’ event of the season. The historic Trois-Rivieres circuit has been a fixture on the World RX schedule since the sport gained World Championship status in 2014. 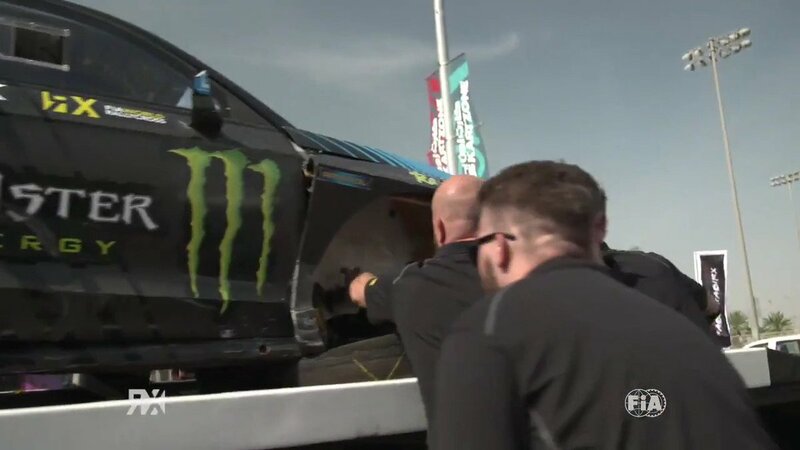 Since then, Norway’s Petter Solberg, France’s Davy Jeanney, Sweden’s Timmy Hansen and Sweden’s Johan Kristoffersson have claimed the winner’s spoils. PSRX Volkswagen Sweden’s Kristoffersson, who leads the World RX Drivers’ Championship points and team mate Solberg will start among the favourites for the Canadian event, as will Team Peugeot Total’s Hansen and Sebastien Loeb after the French team introduced a development version of its Peugeot 208 WRX Supercar at the Swedish round at Holjes two weeks ago. Loeb has also finished on the podium at Trois-Rivieres before, he was third behind Kristoffersson and Solberg last season. EKS Audi Sport are joining PSRX and Peugeot at the official in-season World RX test at Riga in Latvia this week and will also be in contention for victory in World RX’s first visit to North America of the year. Bakkerud finished second to Hansen in Canada in 2016, ahead of Kristoffersson in third. The other permanent World RX driver to have finished on the podium at Trois-Rivieres is GRX Tanco Team’s Timur Timerzyanov, the Russian making it to third in a Peugeot 208 WRX in 2014. Also in action in Canada will be the fifth round of the RX2 International Series, currently led by Oliver Eriksson. The third round of Americas Rallycross will join the schedule, with America’s Scott Speed leading the points, while the ARX2 support category drivers will take part in a double-header over the weekend. Find the full Canada World RX entry list here. Entry lists for RX2, ARX and ARX2 will be revealed in due course.